How Much are Dallas Homes Selling For? How Much Can You Get for Your House in Dallas? Selling your house isn’t like setting up a garage sale. Just slapping any old price on it that “feels right” won’t work. And you really don’t want to get ripped off by any old buyer out there. You want a fair price. You want the best price you can get, sometimes cash payment is preferable even. Dallas homes will sell fast if you price them right. Which is why research is always a good thing to do when it comes to selling your home. 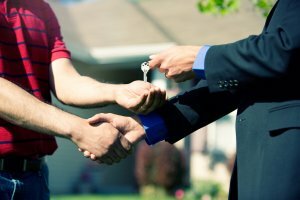 But you might need to sell your home faster than the traditional way. There are ways to do this. Let’s look at how you can and how much you should expect to make. There are plenty of reasons why you might need to sell your home quickly. Maybe you lost your job and can’t pay the mortgage. Maybe you got a new job someplace else and the boss won’t hold the job for you. Whatever the reason, whether positive or negative, you can get an awesome deal selling your home to an investor. You may not be able to start a bidding war between buyers, there are reasons not to do that anyways, but you will always get a fair deal from a good investor willing to buy. What Are The Advantages Of Selling To An Investor? If you’re considering selling to an investor, you don’t have time to wait for a buyer to confirm financing. Recent studies show that it can take upwards of fifty days to get a home financed and closed out. That’s almost two months and too many days too long. How do investors get around having to finance and take out a loan? They already have the capital to invest and could pay cash if you need. Seriously, actually cash dollars for your house. No shady backroom deals or back alleys. A legitimate, legal, in-the-daylight cash transaction. This takes as long as signing the paperwork. Another thing that makes selling Dallas homes to an investor a great deal for you is the fact they take it as-is. You don’t have to wait for an inspector or upgrade the attic. Most investors will buy your house at face value. No questions asked. And, if you need to drop your mortgage, some might even take that on for you as well. What If I Made A Bad Investment On A Rental Property? Investors take rental properties as is too. Getting money back on a bad investment couldn’t be easier. An investor might take almost any property you own. Even whole portfolios if you are that kind of developer yourself. Investors know how to turn a property around and are willing to take on properties you may think nobody would buy. They could even buy non-real-estate items inside the property on a case-by-case basis. What Steps Should I Take To Sell My House Quickly? Deciding how to sell your home is a task you shouldn’t take lightly. Do your research and make sure you’re taking the right steps. You Need To Investigate How Much Your House Is Worth. Right now (February 2017), the median value index for Dallas homes is around $160,300. Home values are constantly fluctuating. And the value of homes has gone up by 18% over the past year and is slated to go up an additional 7.3% within the next year. But this also depends on the area where your house is located. For all of Dallas homes, the median list price per square footage is $186. If your house is in the Dallas-Fort Worth Metro area, the average is $124. This is a buyer’s market right now, another reason why you should consider selling to an investor. If you don’t need to relocate or sell you house quickly, you could probably afford to wait until the market is warmer. But there are reasons to sell your house or property quickly (and quickly is relative). You may want to wait a little while until the market warms up. But consider this: even if you wait, you might lose money on traditional selling means anyway. The average real estate agent charges a 6% or greater fee for their services. But don’t compare this to your recent dinner at the diner. 6% on a house price is a large amount. Even if you have a lower priced house at $150,000, and you sell at that price, you’re looking at having to pay the realtor $6,000 in the end. And if you have a mortgage, you still have to keep paying on it until the house sells. And that’s more money lost. But when you sell to a real estate investor, you will get your full money by skipping the middleman. So, How Much Can I Get For A House In Dallas? If you take action now on your Dallas homes, you will get a fair price for a quick and fairly painless sale. Instead of losing money on an agent and further property expenses, you will gain money and at least receive your current house value on the property. You might even get financial freedom. A mortgage lifted off your shoulders. Cash to transfer or spend as you please. You may get a release of responsibility. No more worrying about finding renters or dealing with repairs. Then you can focus on other responsibilities in life. The choice is yours. But freedom or the ability to divest yourself of a bad investment is just around the corner. If you want to sell your Dallas homes quickly, get your offer now. Don’t waste another moment.